Building products manufacturer National Gypsum says its Gold Bond brand SoundBreak XP Retrofit allows contractors to reduce sound transmission between rooms without the need for demolition. 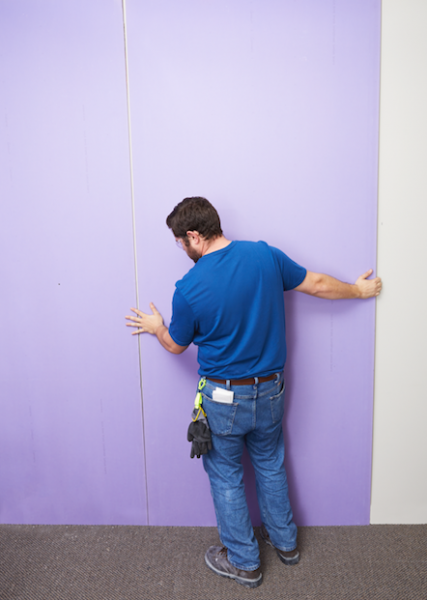 The 5/16-inch sound-damping, retrofit gypsum board featues a viscoelastic polymer adhered to the back paper and is encased in heavy mold, mildew, and moisture-resistant purple face paper. Ideal for media rooms, bedrooms, and nurseries in both residential and multifamily applications, the board can be easily installed over an existing interior gypsum board wall where noise from adjacent spaces is a concern.